“Governor Cuomo’s initiative to create a public-private partnership to help improve the subway system is what has long been needed. Our city’s private and nonprofit sectors have expertise and resources that will supplement what government is doing, bring innovative ideas and expand support for the tough steps that are needed to modernize the system and generate more revenues. This is the kind of forward-thinking leadership we need to continue the success of public-private partnerships throughout the city. New York City is transforming into a 21st-century economic hub, and companies are coming from across the globe to set up shop here in the Empire State. Thanks to the previous remarkable success of public-private partnerships, major companies have already signed on to this initiative to ensure its success. 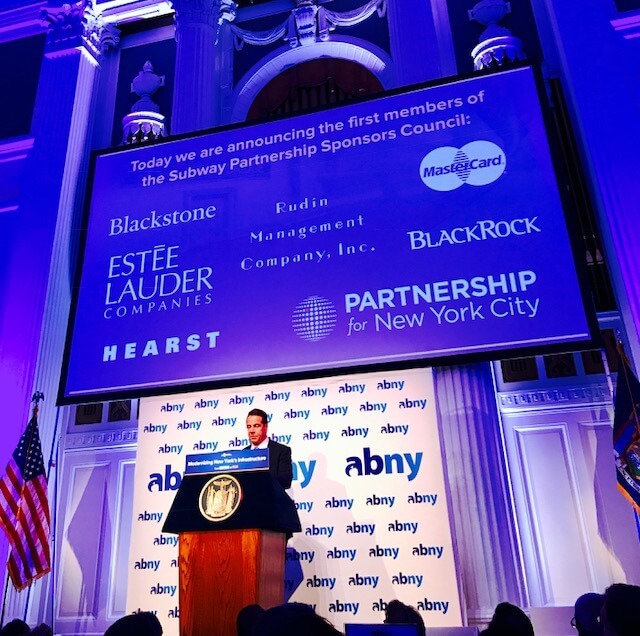 By allowing this opportunity for companies and individuals to get even more involved, we can only expect a stronger, better New York for generations of workers,” said Kathryn Wylde, President & CEO of the Partnership for New York City.